Puerto Natales, is a small city of approximately 22,000 inhabitants, capital of Ultima Esperanza Province, North of the Region of Magallanes and Chilean Antarctica. 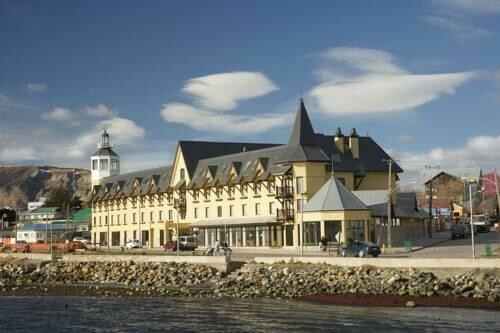 It is located 253 km North of Punta Arenas, the regional capital. Its proximity to the world famous Torres del Paine National Park makes the city gateway to the tourist center, but also the surroundings of Puerto Natales offer many other places of interest to visit. Until a few decades ago, the town was a place without great prospects for the future that based its economy mainly on the operation of a local meat processing plant and coal mining of the neighboring town of Rio Turbio, Argentina. Nowadays the conditions have changed a lot and that old meat processing plant has become a Museum inside the infrastructure of one of the several international class Hotels within the perimeter of the commune. How to get there: There are three Bus Lines that connect daily with Punta Arenas through Route 9 North, the trip lasts 3 hours, these are Buses Fernandez, Bus Sur and Buses Pacheco. By Air, the Teniente Gallardo Airport receives flights during the high tourist season (November to March), this year 2018 by LATAM Airlines, but not Sky Airline that had also operated in the last season. The Ferry Terminal receives and dispatches once a week the ship that connects with the city of Puerto Montt in a spectacular crossing through the southern channels, the trip lasts 4 days and 3 nights. By land from Punta Arenas, following Route 9 North or from Argentine territory through Rio Don Guillermo, Dorotea or Casa Viejas border crossings. 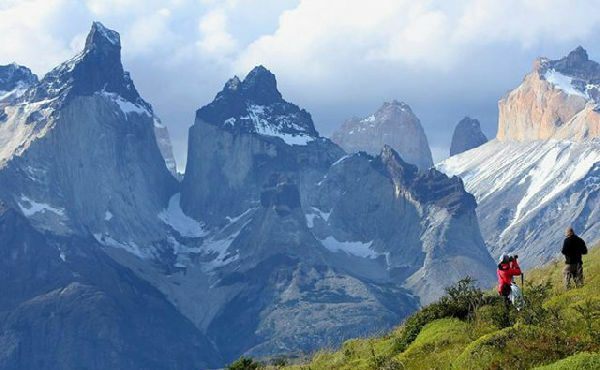 Undoubtedly, Torres del Paine National Park, one of the great Chilean tourist attractions cataloged as the Eighth Wonder of the World, occupies the first place on this list. Declared a World Biosphere Reserve by UNESCO in 1978, its administrative headquarter is located 145 km North of Natales. Its main attractions lie in the spectacular nature of its relief formed by a mountain chain highlighting the Paine Towers and Horns, Glaciers, Lakes and Rivers whose waters come from the Southern Ice Fields, and an abundant native Fauna and Flora. One of the many lakes that complement the gorgeous setting is Lago Pehoe, recently chosen by the prestigious Italian publication Tgcom24 as one of the ten most beautiful on the Planet. There are many Tourism Agencies that can be contacted in Natales, Punta Arenas or through the Internet offering different tours to the Natural Sanctuary. The most famous tourist circuits inside the park are: the demanding Guided Excursion to the Base of the Towers, one of the most famous trekkigs in the world; the trekking circuits known as "The W", with a length of 80 km, which lasts 4 or 5 days and the circuit called "The O", of approximately 130 km, with a duration of 7 to 9 days; trekking on ice to Gray Glacier, with wonderful view of the lake of the same name; navigation by boat on the Serrano River, with a view of the Paine massif and the Tyndall and Geyke Glaciers until reaching the Serrano Glacier at Bernardo O'Higgins National Park; also the particular geography of the park makes it an ideal setting for the practice of various activities such as horseback riding, mountain biking, rafting, sport fishing, mountaineering. The Cueva del Milodon (Milodon's Cave) is a natural cavern located 24 km from Puerto Natales, on the western slope of Cerro Benitez (Benitez Hill). 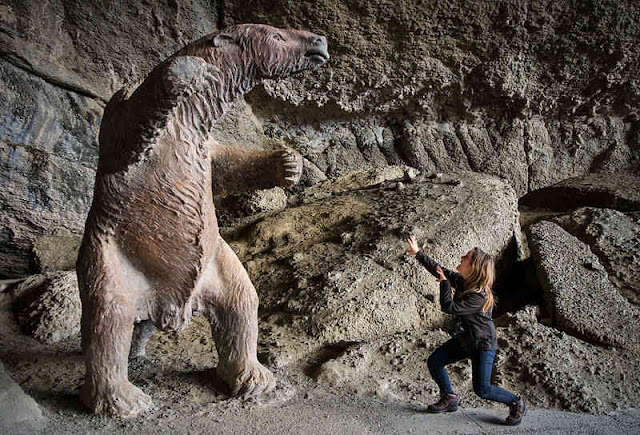 The Natural Monument consists of 3 caves, where remains of a Milodon, prehistoric animal of great dimensions extinct probably by the end of the Pleistocene were found in 1896. Of the three caves, the most important is 30 meters high, 80 meters in front and 200 meters deep, where at the entrance there is a replica of the animal and then there is a path to go inside. This is a place much visited for its high scientific importance, besides being within walking distance of the town and in a region of great scenic beauty for example Laguna Sofia and surroundings. Another much visited place near Natales, located at the entrance of the Cueva del Milodon Natural Monument is La Silla del Diablo, a rocky formation of capricious shape similar to a giant chair. According to the legend, the stony structure was seat of the Milodon, which later the popular imagination transformed it into a devil. In fact, the unusual figure of this solid formation is due to the erosion caused by an enormous glacier that covered the area during the Llanquihue glaciation, which took place about 110,000 years ago. One of the recommended tours departing from Natales, through Canal Señoret and Ultima Esperanza Fjord. This interesting navigation allows to know the Balmaceda and Serrano glaciers which are part of Bernardo O'Higgins National Park, accessible only by sea. Bernardo O'Higgins National Park has a total area of 3,525,901 hectares, which makes it the largest park in Chile. This protected area covers parts of the Aysen and Magellan Regions and glaciers of the Southern Ice Field, the largest ice mass in South America. The tours usually include a stop in some Estancia (Patagonian Cattle Ranch) to enjoy a typical lunch with regional lamb and a whiskey with millenary ice in the glacier area. This tour is performed in the day and the season goes from September to March. Voyage through the Patagonian channels enjoying the seascape and the marine fauna up to the Canal de Las Montañas, a 66 Km. long fjord flanked by snow-capped mountains of the Cordillera Sarmiento and Cordillera Riesco, dense forests of trees bent by the persistent wind and what cannot be missed in this region, the majestic glaciers. It is a group of 5 glacial masses from the Cordillera Sarmiento, whose names in order of appearance are Zamudio, Bernal, Hermann, Alsina and Paredes. With the exception of Kayak trips, the duration of the travel is 10 - 12 Hrs. leaving from Puerto Natales and the carrying out of this tour is subjected to weather conditions. The Chilean tourist company Skorpios named this tour in honor of the natives that inhabited the area, the Kaweskar also called Alacalufes. Without navigational instruments, they were perfect connoisseurs of the intricate channels of Southern Chile. The 380 miles navigation route to the Southern Ice Field is of 4 days, visiting the largest number of glaciers and fjords in this region, among which the Amalia, El Brujo, the glaciers of the Calvo Fjord, Bernal and Herman stand out. During the navigation, you can see a variety of Marine Fauna and Flora, which is still kept in a virgin and wild state, there are boat raids, walks along the coast, etc. The coastline of Puerto Natales, which once was one more of the desolate streets of the town, has been restructured according to the touristic development of the town, apart from the beautiful panoramic view as a backdrop surrounded by snow-capped mountains and of a surprising fauna and flora.